In a scientific breakthrough, a team of physicists at the University of St. Andrews has managed to create a genuine tractor beam,which is capable of using light to attract objects towards it. The study, led by researcher Dr. Tom Cizmar, is currently limited to microscopic particles, but it is hoped that it can one day be developed for medical application, by targeting and attracting specific, individual cells. This is thought to be the first time that a tractor beam has been used to attract objects towards a light source, although practical scientific theories on tractor beams have been developed since 1960. Scientists have previously used a technique called an optical vortex to move individual particles using beams of light, but this new approach works in liquids and a vacuum. Dr. Cizmar believes the new technology has huge potential: "The practical applications could be very great, very exciting. The tractor beam is very selective in the properties of the particles it acts on, so you could pick up specific particles in a mixture." "Eventually this could be used to separate white blood cells, for example." 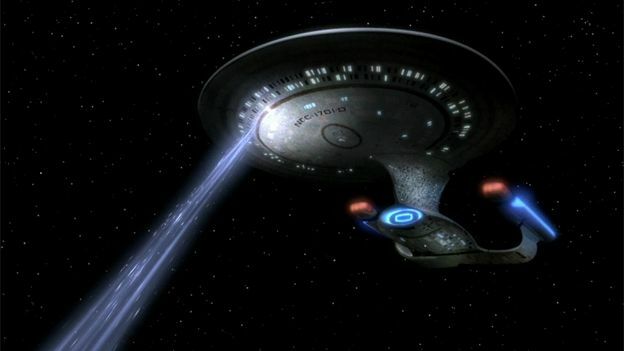 This isn't the first time scientists have tried to use a tractor beam to attract objects. In 2011, researches in China and Hong Kong showed how it could be done, by using a specific shape of laser beam. NASA then funded a study to examine how this technique could be used in space. The team at the University of St Andrews worked with colleagues at the Institute of Scientific Instruments in the Czech Republic, and managed to uncover a way of reversing a technique that has been around for centuries. In 1619 German astronomer Johannes Kepler observed that tails of comets always point away from the sun, leading to scientists discovering a way of moving microscopic objects along the direction of a beam of light, by the light photons. In the new breakthrough, the team of researchers managed to create a technique that allowed for that force to be reversed. Unfortunately, though, the new technology will not be able to move large objects like you may have seen in some science fiction. According to Dr. Cizmar the transfer of energy required to move the object results in the object heating up, and although this is fine on a microscopic scale, on a macro scale it would cause huge problems.